I could have had a Kindle. I could have had a Nook, Sony or any e-Reader I fancied. But after careful consideration, I went for Kobo. I like to do my homework before buying any significant electronic device. The e-Reader was a gift. My parents were giving it to me for my 40th birthday. However, I'm the geek in this family, so they were eager to defer responsibility for choosing the right one. I thought I would have a Kindle. In fact, that's precisely what I'd called the e-Reader, when I suggested it. It took just a few minutes searching on the internet to change my mind completely. Now I'm glad that I went for Kobo instead. It was the first and only fact that I really needed. After that all was but detail. In internet terms, a closed shop is bad news. It runs utterly contrary to the Hacker Ethic; or, for those who care little about a free and open web, it seeks to monopolize the market. Kindle Books are downloaded in a file format specific to Kindle devices. It is possible to smash open the casing and extract the literature inside, but that's fiddly, involves two different programs and exists in a state of dubious legality. That is a closed shop. 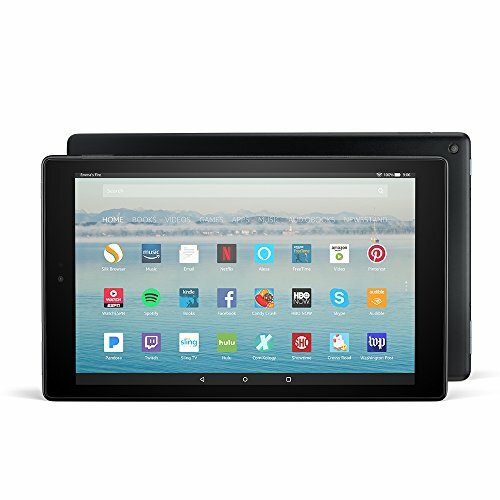 That demands that anyone buying a Kindle Book only use it on a Kindle device. Of course, the morality of this is mitigated somewhat, by the fact that you could download a free reader for your PC or Apple device. But that's not an e-Reader. That belies the whole point of an eBook. You might as well buy the paper copy for that. The majority of shoppers don't care about monopolization and its attendant issues. They are the sort of people who'll purchase anything, as long as there's a benefit in it for them. And there is a benefit in buying a Kindle. Amazon is behind it and therefore it boasts the biggest potential library of books to read. But it's a closed shop, and I, for one, can't get past that point. You really can purchase any brand of e-Reader there. It's just that Kindle will be prominently displayed in the search results. What's so Bad About a Closed Shop? Closed shop, in internet terms, is when everything is within one package. It cannot be swopped between devices. It's of vague linguistic amusement how the internet can subvert meanings. In real life, a closed shop is one where the workers are protected by a union. Happy days! In the cyberworld, it's when a product is ring-fenced to prevent its expansion. A great example is to look at iTunes. Buy music from an iTunes shop, then attempt to transfer it (without third party software developed in response) to another mp3 music device. Or even to change computers. It doesn't work. iTunes immediately clamps down and treats you like you're trying to steal the legally purchased tunes. Which is why I prefer Songbird. 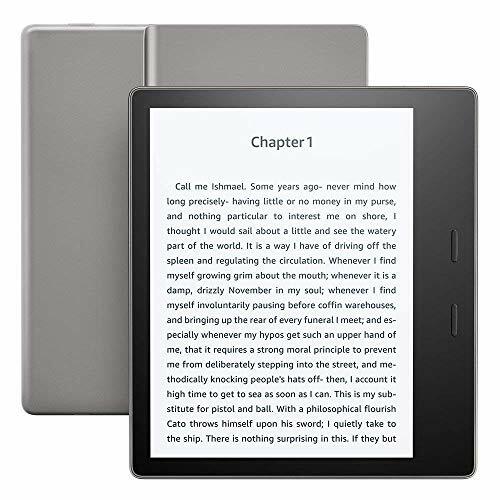 It's in Amazon's interest for all Kindle Books to be read on a Kindle device. The company has developed the latter. 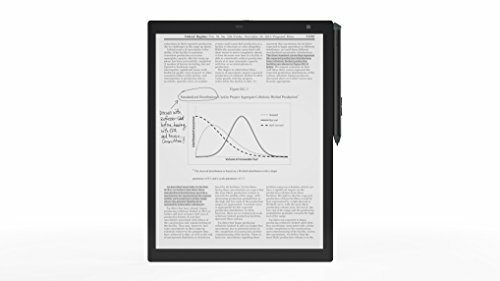 It makes money from all of the e-Readers that it sells, but more so on its own product. 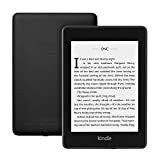 The last thing that the company wants is for people to start reading Kindle Books on Kobo, Nook, Sony Readers or whatever else the market produces. It's better to put those out of business completely. No company is better placed for monopolizing literature than Amazon right now. And that's the thing which triggers alarm bells in my mind. The barest sniff that any single source could hold the only keys to the library makes me wrinkle up my nose. Particularly since the company ethics don't quite match my own. There's no sinister accusation here, merely the observation that I would rather have a wider choice of books than those which a major corporation deems permissible reading. Or, more to the point, I'd like to have a choice in where and how I read that literature. 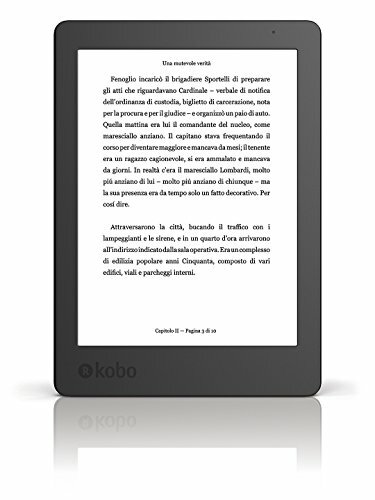 Are you still thinking that Kindle is the only e-Reader out there? It supports a range of formats; and you buy the books for their own sake. 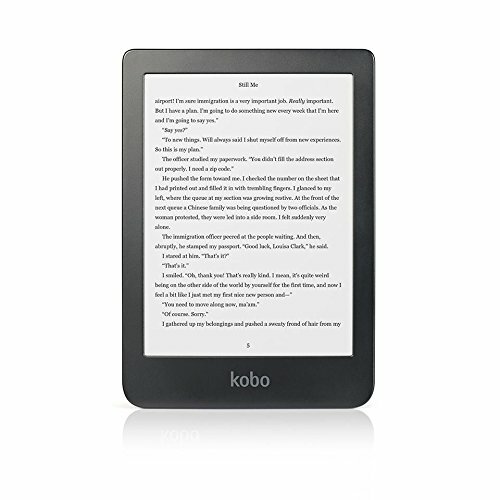 I can transfer Kobo e-books to any device. 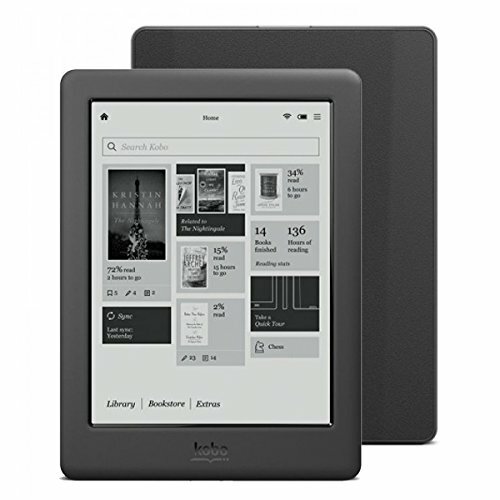 It must be obvious by now why I opted for a Kobo e-Reader. It does the job. It allows me to read books, but it's not a closed shop. I selected it, as it appeared to be the most open of them all. In fact, its selling point is the ability to easily transfer any literature or file from it, onto any other device of your choosing. As you can imagine, I have totally geeked out over this, since I received it last week. I've got the Kobo eReader Touch Edition (silver quilt) and I've certainly put it through its paces. This is the model which is now in my grubby paws. My first test was to simply download something off the Kobo store and read it. As I was in Haworth, I chose Jane Eyre. The book was written about ten yards from where I was sitting, so it seemed like a good place to begin. One click and the eBook was mine. Another click and I was reading it. The pages turned instantly and the sun was shining. For two hours, I was lost in Charlotte Bronte's world. Then the call of a local purveyor of fine tea and cake forced me to pause. The light-weight casing meant that I barely felt it in my hand, for the entire time that I was reading it. I certainly didn't have any weight in my bag, as I relocated. I have found that the Kobo remembers my place, even if I've forgotten to place a bookmark. The Wifi element updates the PC reader too.When I returned to the Kobo application there, it knew what I'd been reading out in the Haworth parsonage grounds. By running my finger over various passages, I can highlight then save them. These can be sent to Facebook or stored for future perusal. I can annotate the book itself; or add notes separately. I can also pull up chapters, indices, and author's notes; search the book; add it to bookshelves of my own devising; and rate it according to preference. It's all very easy and fast to navigate. This is the first time I'd held any e-Reader in my hand, and I was soon into every feature. Even if the hands-on imperative fails, then there's an in-built quick tour and help pages to guide you through. The building directly behind the bench is the Bronte Parsonage (home to Charlotte, Emily, Ann and family). In front of me was the Yorkshire moors. This is the reason that I wanted this one over all others. The diversity of sources from which I could acquire literature. I could have done all of that with a Kindle. It's no biggie to claim one of literature's greatest classic novels and read it. But this wasn't why I had a Kobo. I had other tests to perform; and it coped extremely well. First stop was to Cory Doctorow's website. His novels are not only fabulous, and possibly the most exciting of their cyberpunk genre, but they're also free. He relies on the Hacker Ethic of the free exchange of information. As his novels have been transformed into an array of formats (by fans mostly), I was able to experiment to my heart's content. Kobo accepted them all. 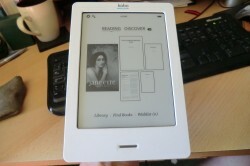 The final test was this: could I get Kindle Books onto my Kobo? The answer is: yes, I can; and a lot more easily than I was expecting. Yes, you can actually buy these on the site of the biggest competitor! This is more an observation than a reason for not purchasing one. 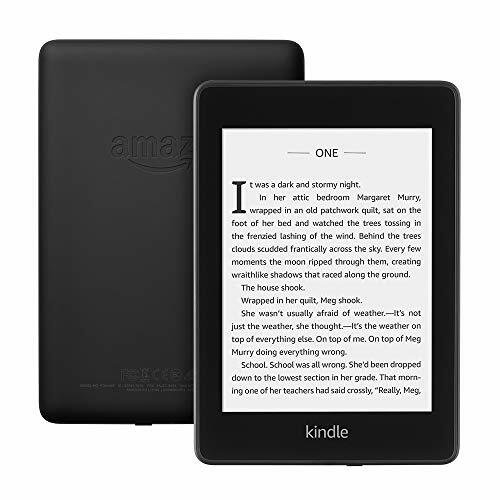 From an Amazon marketing point of view, e-Readers should ideally become synonymous with Kindle. Lots of profit there from consumers following the herd and only buying this brand. Naturally this incurs a dangerous line to walk. I did something a fortnight ago, which would have chilled the blood of any Amazon executive in earshot. I asked my parents for a kindle. Note the small 'k'. 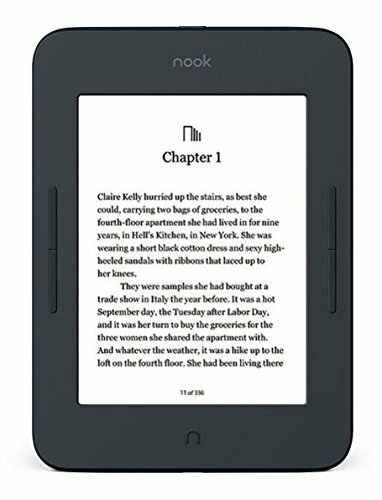 I wasn't necessarily asking for the brand, but for an e-Reader. 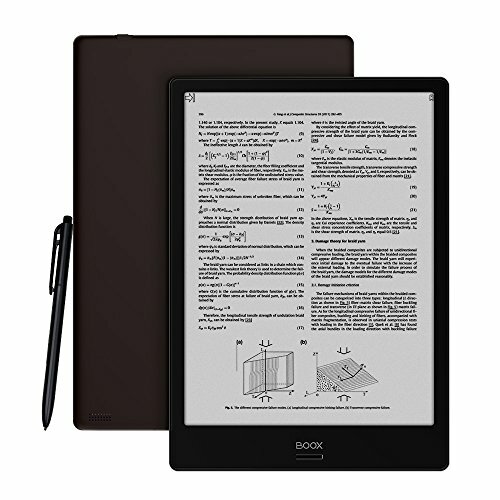 As soon as the request was granted, I began researching e-Readers in general. Amazon's Kindle was only foremost in those I examined. If the brand crosses the line into describing a product in general, then it may lose its trademark protection, at least in some countries. Such generic words as aspirin*, kerosene and thermos started life as exclusive brand names. But when people started referring to all willow bark derivative painkillers as Aspirin, then it lost the capital letter and the company behind it lost the right to protect the name from competitiors. Another exchange, this time between a friend and I, would have similarly upset Amazon's marketing team. "Did you get a Kindle for your birthday?" He asked me. "Yes!" I blithely responded. "I got a Kobo!" Then went on to tell him how wonderful it was reading Jane Eyre in the place where it was written. You can almost imagine the gods of Amazon screaming out in desperation, "No! You didn't get a Kindle! You got a Kobo!" Your work is scattered across several txt documents. You want them to be combined into PDF or ePub (or more), free of charge. Come right in! Sigil is a free, versatile and powerful program for converting lots of txt files into ePub format. You'll soon be reading your own work, alongside the classics, on your eReader. Right. I'd better get busy typing then. I love those free eBook sites, because they tend to have a lot of history books. My Kobo is filled with them. I've taken to using Calibre to organize them all too. The books ARE taking over the asylum here. And I have just discovered the most awesome of free e-book websites which triggered an idea in my head for a companion article to this and the one recently written by VHFolland about where to publish e-books. I went for an Android phone because it had more opportunities to download things than Apple-based products do. I may well go for a Kobo for the same reason. I know what you mean about book space. My Wizzography starts with a photograph taken in my sitting room (http://wizzley.com/jo-harrington-a-cr... ), you can see how much I love my books, and how much space they take up. That isn't all of my books in the picture by the way. It was a lovely gift to receive. I doubt anything will ever take the place of an actual book in your hand, but this is a great second best. I love the way it bookmarks your page too. Such a little thing, but it turns down the corner at the top. I don't even do that with real books anymore, because it damages the pages. But it's fun to see it happen on the Kobo. I'm indulging the best of both worlds. I have the Kobo, but I also have piles and piles of actual books. The Kobo is a new toy and therefore a novelty right now. I haven't had it long enough to work out all of the pros and cons yet. The major pro so far is the fact that it's lightweight. I've spent my entire life lugging books around in my bag. I don't even know that the Kobo is there. Plus, when you're reading it, you lounge about even more lazily, for the same reasons. Major con so far is that you don't know how much of the book you've got through. I didn't realize until now how much pleasure I get from glancing at my progress. I see x amount of pages left and that must trigger something nice inside. With a Kobo, you've just got endless digital pages until the book finishes. The stories remain the same though. Interesting exchange on use of trademark names. I'm not yet in the market for an e-Reader. Still got so many books on my shelves that have not yet been read that I think I'll go through them before I see what is available virtually. In spite of that, I really found your discussion of closed shop interesting. For some reason, I am having a hard time feeling like I belong to this "brave new world" (notice it is not capitalized). Brenda - That is really bizarre, especially since Barnes and Noble developed the Nook! I've only had my Kobo for a week, but it's stood up to scrutiny and all that I've thrown at it so far. Sam - I wonder if the confusion here is because we're a) stepping into a legal minefield, where there's a different between trademark, patents and trade names; and b) the source I'm referring to is talking about US law. Trademarks have infinite protection in the US, but that can be lost as soon as it becomes a verb. In the US, you can happily call something an aspirin, even if it's not made by Bayer. But you couldn't call a computer an Apple, because they've retained the trademark protection there. Basically we're talking about exclusivity. Think of the Duncan Yo-Yo trademark case in 1965. (See http://en.wikipedia.org/wiki/Yo-yo#Th...) Donald F. Duncan had stupidly released adverts with such slogans as, 'If it isn't a Duncan, it isn't a Yo-Yo'. That was used against the company in court. Until then, you couldn't have said that your toy was a Yo-Yo, if you weren't part of the Duncan corporation. It would be like saying that my Kobo is a Kindle now. After that court-case, Yo-Yo became a legally generic world. Any company could use it. I could make one now and call it a Harrington Yo-Yo and Duncan couldn't touch me. They lost millions that way. I've reworded it again for clarity.